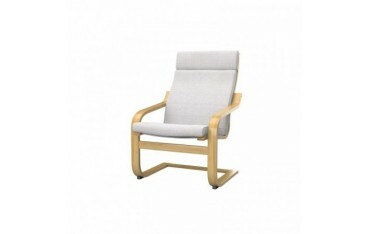 IKEA - POANG armchair is a perfect solution especially for those interiors, which are kept in a modern, not very formal design. However, if you are already quite bored with your armchair and you would like to give it some kind of a new life, you have come just to the perfect place to make your dreams come true. Just order a replacement slipcover for your IKEA - POANG armchair and when you use it, feel comfortable and have a good rest thanks to your reconditioned piece of furniture! Each of the presented IKEA replacement covers has its unique style, since you can order it in many different versions, when it comes to colour and texture of the used material. Furthermore, the fact which may interest you is, that most of our replacement slipcovers are hydrophobic - they do not absorb water, so any time you pour your tea or coffee on your armchair, you do not have to worry! You can clean it easily - just take off the slipcover and put in into the washing machine. Comfort of usage and comfort of cleaning at once!